First of all, I LOVE that you still can't fit these songs into a single genre other than some sort of alternative. I love that no song sounds the same and that makes it such a killer album. I love that it's still such a miscellaneous yet cohesive thing and you can tell they were very aware of that. It's clear that they know more people are listening than ever before and hanging on to every word, so they (Tyler?) make an effort to speak directly to fans about things they deal with. 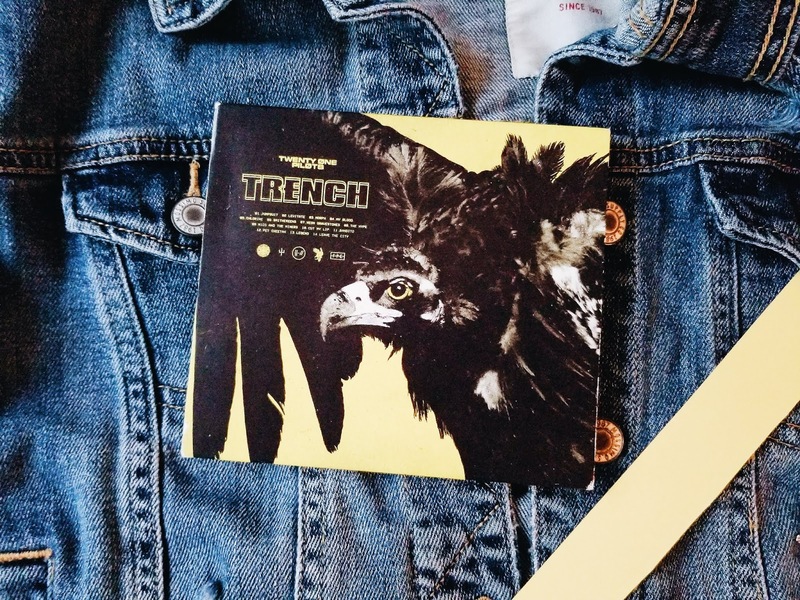 There's some sort of common theme within Trench about being saved and fighting demons. A lot of people interpret this as having do with mental illness, which I think some symbolism clearly applies to that, but part of it also has to do with Dema. 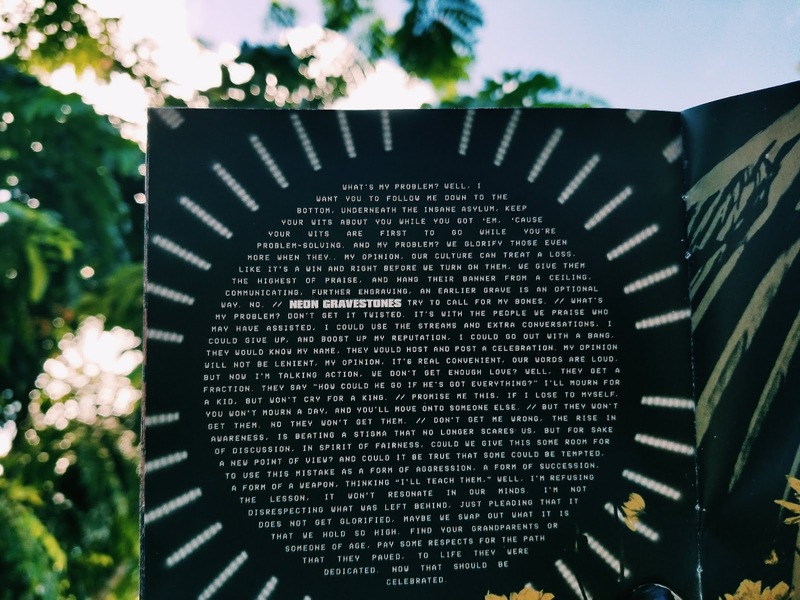 A few months ago, Twenty Øne Pilots released some really cryptic images and info on a few different websites, that had pieces of a story they've been working on for what seems like a while. In short, Dema is a city where Tyler Joseph and maybe his alter ego Clancy has been trapped for some time by Nico and the Niners (a.k.a. Blurryface? 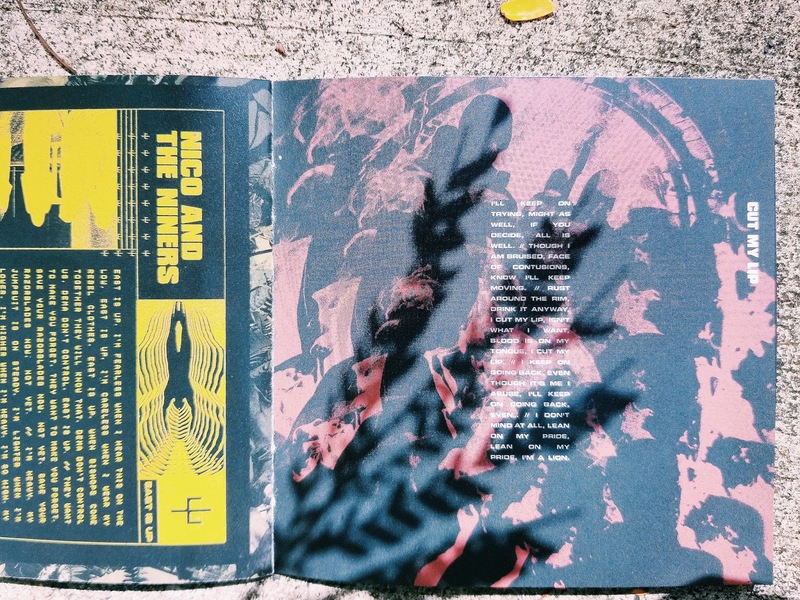 ), and the album is sort of his escape from this with the help of Josh Dun and the clique. A surprisingly good explanation is in this Youtube video and the Jumpsuit lyrics from Genius. 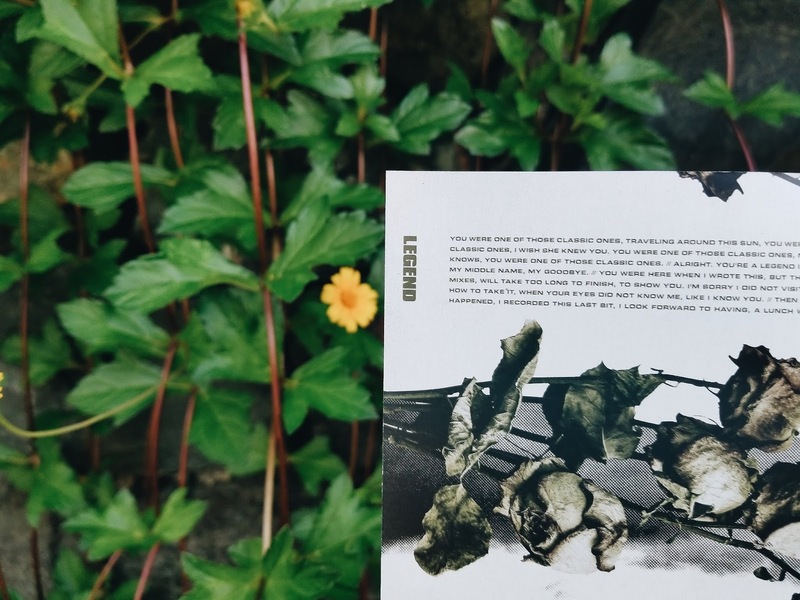 When the album was first announced and the Dema websites were surfacing around Tumblr and Twitter, I was neck deep in conspiracy theories. I looked into Clancy and pieces of music videos and see reoccurring themes where there are obvious relationships and common lyrics but nothing can be said for certain, other than Twenty Øne Pilots has been piecing together a story that is much deeper than we know. When I first heard Jumpsuit I was confused . . . to say the least. I didn't understand the song at all but after hearing the whole album it seems to fit and makes sense as the beginning. It signals that the Blurryface era is done and something new is here. It talks about fearing the unknown and needing protection from it. "I'll be right there, If you need anyone,"
This seems to be the lyric that brings hope into the fast and slow chaos of the song, saying that only people who care can help you through this. After this line is where Tyler screams which sort of symbols and intense inner conflict between what to do and what not to do. dema theory - The music video clearly has some heavy symbolize about Nico, Bishops, Blurryface, Dema, the Banditos, all of it. Nico/Blurryface/The Veiled Character on the horse is preventing Tyler from going where he needs to which can be interpreted as a personification of his insecurities that stop him in real life. The Banditos/ people in yellow with the flower petals seem to be message of hope, helping him through dark times. 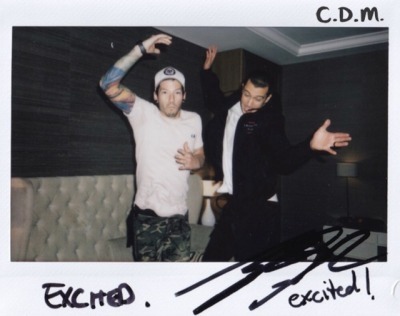 They may or may not be Twenty Øne Pilots fans. There are a lot of ideas about what all of it means but I think it's a good introduction to whatever struggle they are going to bring up and some sort of message about hope and getting past all of it. 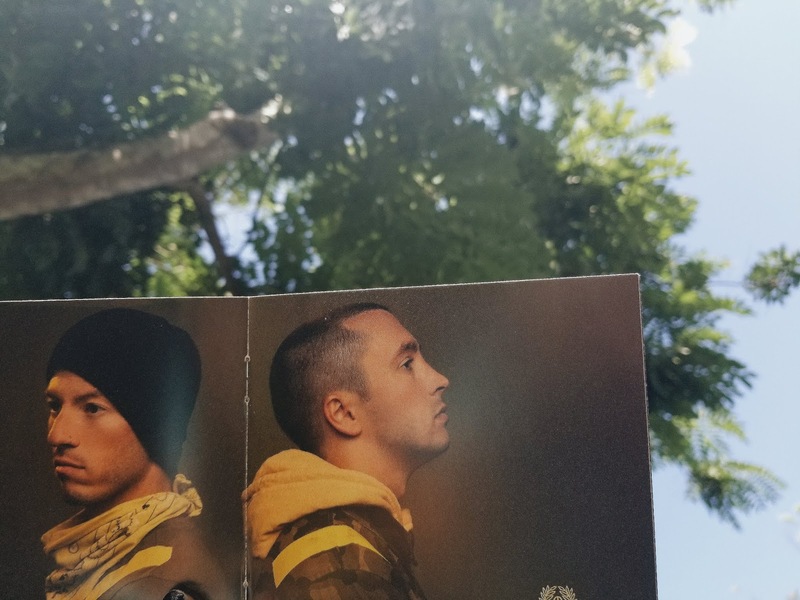 Levitate is also a song I had to slowly get use to, but I love the transition from Jumpsuit to this. It's very in your face and has that futuristic-rap characteristic that we love from Tyler. Okay, so a lot of lyrics from Trench self reference and sort of break the fourth wall. 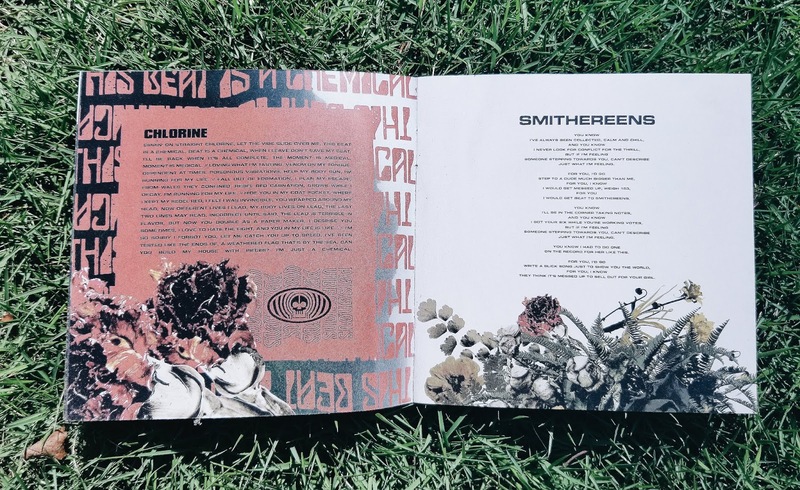 There are lyrics that mention Tyler's writer's block and the creation of the album (within the album? ), which is very interesting I think. Tyler has never really labeled this mental illness or depression or any of those things, but he has mentioned before what some people call his "demons" come out at night. Lyrics that I've mentioned in my post I Am Out With The Night a sort of common struggle that artists have where they feel like they have more to write about at night and that's when all their insecurities thrive. He calls the insecure part of him a coward and wishes that it should "show up" so he could write about it when he needs to. "A curse from you is all that I would need right now,"
He personifies this side of him a lot and writes about this new awareness regarding his fans and how he knows that they will take personally everything he says to them. I probably shouldn't show you but it's way too late,"
This line about vultures is one of my favorites and he mentions again how people twist his words and a lot of what he writes comes from a place of pain. Don't feed me to the vultures, I am a vulture who feeds on pain,"
He switches perspective a lot, from talking to someone and then to the people he is talking to. Also want to mention that I LOVE the flow of the lines "I thought I could depend on my weekends, One the freezing ground that I'm sleeping on, Please keep me from, Please keep me," I think it's insanely innovative. Levitating may be a metaphor for writing songs and overall I think it says a lot about how he perceives what he makes, and that they are truly giving pieces of themselves to create. IN NO WAY did I have to get used to this song because it's instantly a banger. It's slower from the first two and has some reggae undertones. Morph gives a different solution to dealing with insecurities/dark thoughts- hiding from them. Pretending they don't exist, pretending to be "someone else", going into "defense mechanism mode". He mentions that it's easy morph to someone else and sometimes you have to do it to cope, but when it comes down to it, you have to face your problems head on because there is no other way. "We're surrounded, And we're hounded, There's no above or under or around it,"
There are some really interesting lyrics about death and questioning one's own morality. Questioning a life after death or even just life after all of your demons are gone. dema theory - "Nicolas Bourbaki" is a very curious and specific name, and may be who blurry face really is, considering he is taunting Tyler in the song. This whole song could be about escaping from Dema, using the color yellow to "morph to someone else and escape. This could be about feeling like a different person on stage. Ones and Zeros could a reference to Twenty Øne Pilot's digital footprint and their cryptic online messages. Either way it's one of my favorite songs on the album and it changes tempo so much from chorus to verse. I love the snapping and subtle reference to Josh Dun. I doesn't make any sense but it fits together so well. Are we still in love and is it possible we feel the same?" "What are we here for if to run straight through all our tormentors?" My Blood is also in my top 3 and I'm in love with the sound. It seems like such a hopeful song about having people who can you rely on and will fight with you. The music video is about two brothers and did put me on the verge of tears, so I think there is a strong message about family, maybe even getting to choose who you consider your blood. My Blood also reminds me a bit of Stranger Things with the synth and slow build to the end. It is rather nostalgic and seems much like Stressed Out where the boys are running around a small town and making their own fun, creating their own world together. "Don't they know I was grown with you?" This is the second song that I INSTANTLY loved and an absolute favorite. Maybe I don't entirely understand the chlorine metaphor but the beat might be my favorite. This one is about writing music as well and comparing it to a chemical or drug that takes over. I think it's interesting that he considers himself "dependent at times" and that helps his "body run". Music is addictive to him and his audience, which is why he is referencing the hiatus here and mentions that it's so important to him that he gets it right, but also that he wouldn't be able to do anything else because he's addicted- and so are we. "Hide you in coat pocket, Where I kept my rebel red. I felt I was invincible, You wrapped around my head. Now different lives I lead, My body lives on lead. The last two lines may read, Incorrect until said. The lead is terrible in favor." I want to talk about these lines because it says something about how loving something a lot can also cause you pain. Also it's a killer verse. Rebel Red is Blurryface and that is when Twenty Øne Pilots gained a lot of fame and attention, this being an attempt at keeping themselves grounded. How can you live on something that is terrible in flavor? The "lead is terrible sometimes" and he loves "to hate the fight" but above it all he is addicted and cannot do anything but succumb to the chemical that is music. dema theory - Running for your life could be about running from Dema, a common theme here. The "rebel red carnation" is also something that "grows while I decay," and could be a reference to fame or Blurryface coming back to hurt Tyler. "I plan my escape from walls that confide", also seems to be about this. "Poisonous vibrations help my body run,"
Originally I thought the lyrics were "let the vamps slide over me," which would have been a COMPLETELY different interpretation. This song is simply Tear In My Heart 2.0. A love song for Jenna, a cute jam with a really strange wind instrument in the background. The line "I'll be in the corner taking notes," also deserve an honorable mention because it's really cute. "For You, I know they think it's messed up to sell out for your girl." Neon Gravestones is heavy track and something I'm hesitant to go into, but I think that's the point right? It's hard to talk about suicide and how they worked up the courage to publish this, I don't know. I've seen a lot of edits online with neon gravestones which is a nice aesthetic but a little insensitive, I think. They know who their audience is and what their influence is, something that is also important to note. The song is about not glorifying suicide, Tyler mentioned in an interview that the way to combat this is by glorifying growing old, which is a beautiful thing. It's about society letting things go to easily. It's really sad, it's really tough to think about that sort of position and Tyler even goes so far as to say "I could give up and boost my reputation," and put him self in that position of "losing to himself". Maybe I'm not in the position to speak on such things but maybe they are and that is important. "Don't get me wrong, The rise in awareness is beating a stigma that no longer scares us.But for sake of discussion, In spirit of fairness, Could we give this some room for a new point of view?And could it be true that some could be tempted to use this mistake as a form of aggression?A form of succession? A form of a weapon?" I think these lines are really valuable and very raw and honest. You can't really argue their meaning because Tyler repeats over and over again that he doesn't want them to be misinterpreted in any way. He is not speaking fast but he is speaking with urgency. He recognizes that everyone wants to talk about mental illness and use it as click bait, offer so many different solutions, try to help without actually taking away the actual cause of our problems. He recognizes that his fans are young and they identify with him talking about his demons but he doesn't want them to glorify them. He doesn't even say the word suicide in this song although he has in others, which really emphasizes the point that we are scared to talk about it even though that might lessen the stigma. My opinion, it's real convenient." The Hype is . . . worth the hype. Do people not know how good this song is? How nice and sweet and good? It has classic Twenty Øne Pilots vibes and is a bit like Polarize. More themes about working through hard times with people who share your struggle. References to the clique and being with people who get you. Encouraging in a way that is calm and really makes you believe everything will be okay. "No I don't know which way I'm going, but I will find my way around." The symbolism in this particular song and music video is what keeps the Dema conspiracies thriving. There is a really weird repetition of the line "East is up." 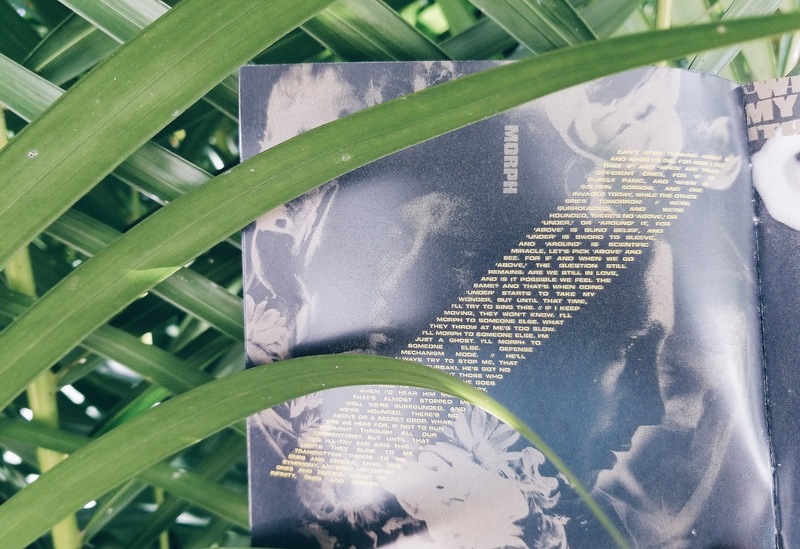 It's on the websites, in symbols, even the lyric booklet is titled so that east is up. It's like other lines in previous songs where they mention the sun such as "The sun will rise and we will try again," or "Why am I not scared in the morning?" which alludes to the idea that Tyler's demons come out at night, and the sun will save them. It seems to be about fighting and rebelling against the things that have hurt you, and is much like a climax to the story. "East is up, I fearless when I hear this on the low. East is up, I'm careless when I wear my rebel clothes. dema theory - The music video shows a rebellion and another escape plan from Dema in the works. Josh and the Banditos try to break out Tyler but face resistance and it's interesting to see hints from past music videos. Like We Don't Believe What's On TV, it also uses the ukulele which I'm not sure they could produce an album without. One of the slower songs on the album, Cut My Lip has some reggae undertones also and I love the sound. Know I'll keep moving, Know I'll keep moving." A lot of these songs have strange messages about working against enemies and inner demons, and I think this one has a bit more to do with fighting against yourself and moving on. It talks a bit about working against yourself I think, and knowing that something will hurt you but trying to go for it anyway because you desperately want a reward. Not liking where the things you have done have taken you, but still striving to be better. I don't know what to say other than the chorus is GOOD and this is also a song I can't stop listening to. Bandito starts out by mentioning someone is choosing to go low and ignoring the right thing. It sounds like the song you play before a long journey, the calm before the storm, and talks about exactly the Dema story line. I'll destroy it if I want." I like this lyric a lot and I think it's important because although it might be about Dema because Tyler literally created it, it might also be about Blurryface and his fans. 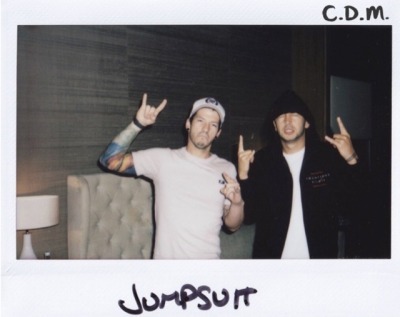 Twenty Øne Pilots creates their music and it's subject to scrutiny from anyone, this might be a reminder that they are in control and can say whatever they want and it's okay for people to have different opinions. It also might be a nod to people with mental illness and/or inner demons where Tyler is encouraging them to take control and fight back because they too can create and destroy. Like nicknames they give themselves to uninspire." 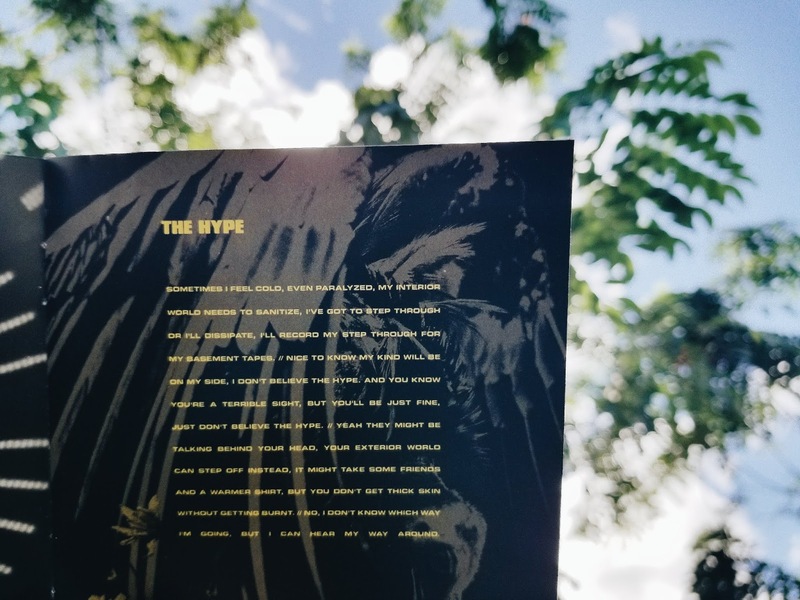 dema theory - Some common themes are being used here again like fire and the mention of neon. In the music we can see that the black paint Tyler wore during the Blurryface era must have been used to control his mind and keep him complacent. Here he is waking up and know that everything around his an illusion or a "heatless fire" that he can use to escape. Fire is a common theme in the music videos and might represent Tyler's fight back or the aid of his friends/Josh. "I'm still not sure if fear's a rival or close relative to truth." 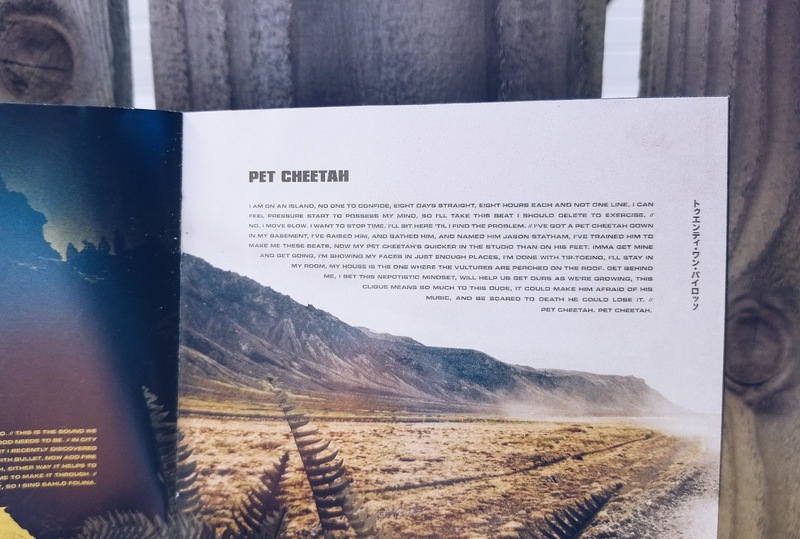 Where do I start with Pet Cheetah? Do I talk about how the first verse is a bit like Migraine? Do I talk about how this rap is insanely fast and a BOP but the chorus is "no, I move slow"? DO I START WITH JASON STATHAM?! Pet Cheetah has to be about writers block and Tyler needing to be isolated in order to write the album. He writes about writer's block while he has writer's block to get over his writer's block. Cool. And be scared to death he could lose it." Were Twenty Øne Pilots afraid of losing their music and not being able to write anymore? Again it must have been really hard to write with so much pressure and I'm glad they took as long as they did because I would wait 5 years for an album if it meant they were happy with it. I'm convinced this song is a joke and they were messing around in the studio and this was the product. A pet cheetah? What does that mean? My house is the one where the vultures are perched the roof." My house is the one where the vultures are perched on the roof. I LOVE this line and I DON'T KNOW WHY. Maybe it's the way that the music stops when he says it and it's distorted and always I have this line stuck in my head. Does it mean that he's dying and falling apart to write? Vultures are circling and preparing to swoop him up because he doesn't seem he can make it? That's what this line seems like, it seems like it is saying that he is almost at the end, the end of the album, the story. Vultures remind him of home? The vultures are his family? Tyler is one of the vultures? I actually cried the first time I heard this song and read the lyrics because I didn't realize what it was about. It's really sweet that Tyler would write this song and be so honest to so many people with such an uplifting beat; I think it shows a lot of awareness. This song is another to use metaphors relating to fire and the idea of something burning but not having any real heat behind it. I think it's supposed to mean both the city of the Dema in terms of Tyler being able to leave someday, the ending of the story, but also literally the album coming to an end. It's really similar to goner in the way that you want to sing and dance to the song but also like . . . cry. It sounds like a sad thing, something ending, but it can also be about the ending of hard times and walking into something lighter after giving all you have. It's clear that Tyler is talking to his audience and his fans regardless of the subject matter. He uses the line "for now I will stay alive" which is something Twenty Øne Pilots has said before, meaning that in all aspects of life remember that being alive is enough. 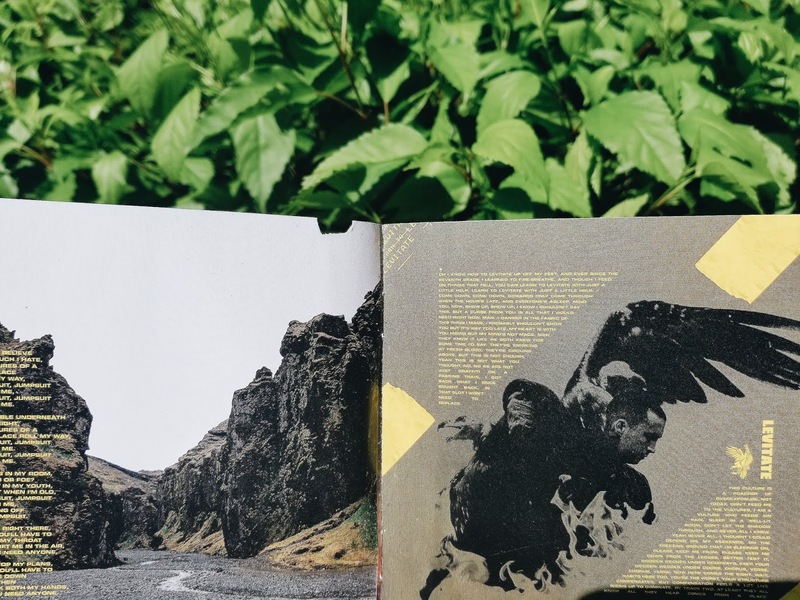 The whole album is about the story of Dema, mental illness, faith, the clique, and personal people in Twenty Øne Pilot's lives, and the beauty of it is that you can't always tell what which parts are about. The ambiguity was intentional and there are a lot of questions being asked about life. Why do we do the things we do and how do we move on? I thought the albums would have more of an obvious, blatant story within it, based on all the crazy conspiracies I read. Each song doesn't point to an alternate world in a way that is surface level, you have to really assume what you want about each song. Some of it was created to written on t-shirts and some of it was created to have a real effect on people. It's interesting how the songs that mean the most to Twenty Øne Pilots and are the most personal to them, I don't have much to say about. Everyone can look at the lyrics in their own way and interpret them to fit into their own lives which is an important part of music in general. I can only speak from my perspective and although I'm likely entirely wrong, that's how I have see them and support them. I'm pretty sure this is the longest posts I've ever made and I got a little carried away writing about this! I wish I could do a long in depth analysis of so many albums and art pieces, it's something that comes so easy to me! Do you have to listen to your favorite albums the same way as me? Tell me thoughts about the album, big or small, and recommend some new music as well! Or maybe you can just tell me that it's really not that deep and it's time to relax.